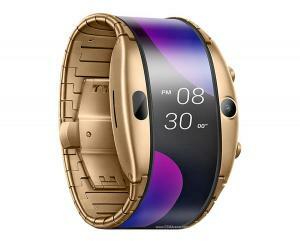 ZTE's Nubia Alpha is a smart bracelet that sports a tall flexible OLED display - a 4" panel with a resolution of 192 x 960. The wearable device can be unfolded to be used as a smartphone. The Nubia Alpha is based around a Qualcomm Snapdragon Wear 2100 chipset, and features 1GB of RAM and 4 GB of storage. The Alpha has a single 5MP camera and has supports LTE connectivity (there's also a Bluetooth-only variant) and has a built-in GPS and a heart rate sensor. The Nubia Alpha is now shipping in China for 3499 Yuan, or around $521. Nubia will also release an eSIM device - which will cost about $625 and will launch in Q3 2019.